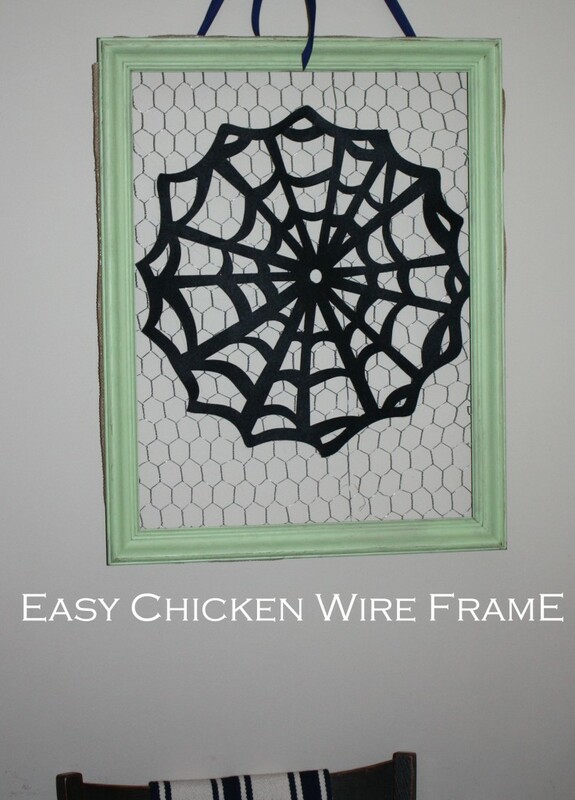 Did Anyone start singing “Chickenhead?” when I mentioned Chicken wire frames, or am I the only one to bust out in song whenever I hear trigger words? 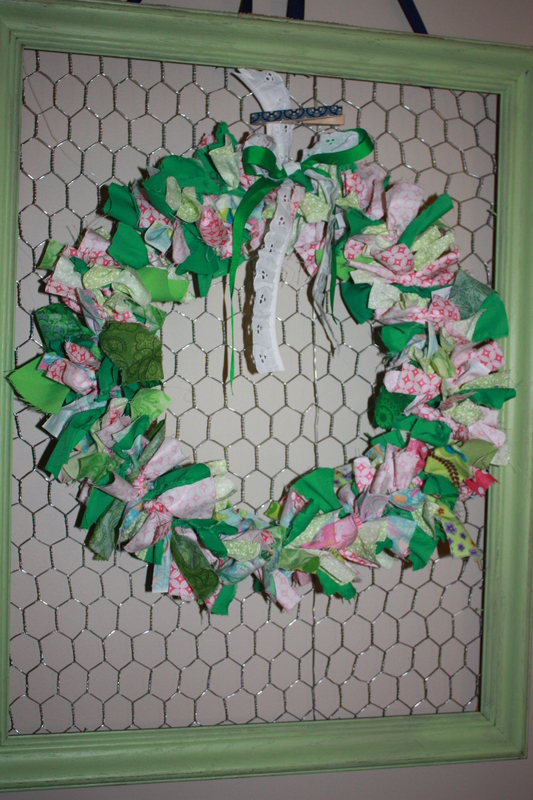 Well, even if you aren’t a song master like me, I think you might like this easy DIY project. 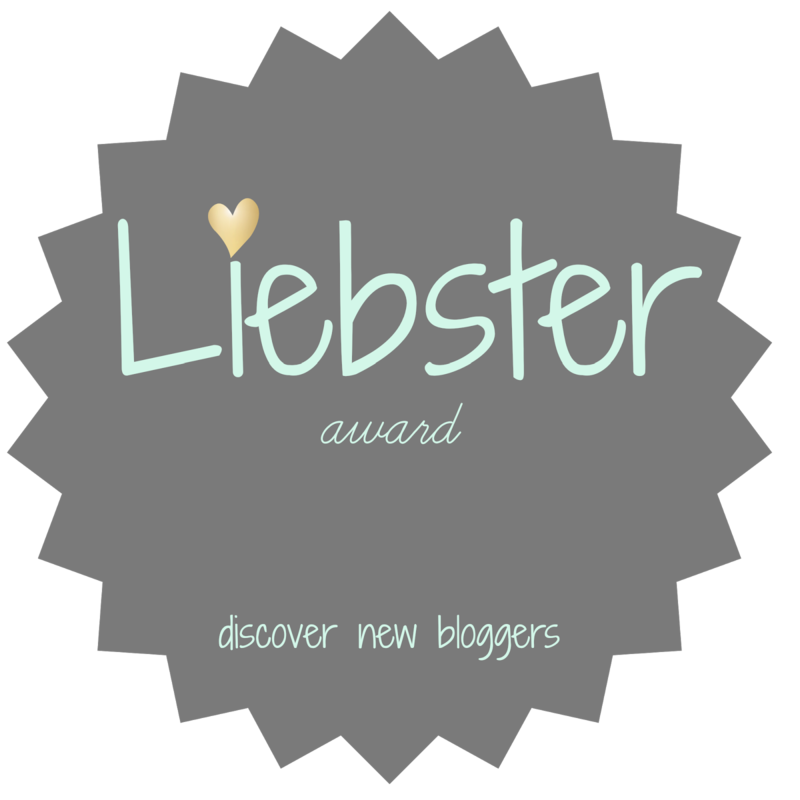 Similar to Lisa’s jewelry storage frame, this is a quick and cheap! - Gloves— trust me on this..
- paint (optional) — I painted my frame with a sample paint pot from Lowe’s. Step 1: Put on your gloves to protect those paws of yours. Step 2: Roll out chicken wire and cut it to fit frame. 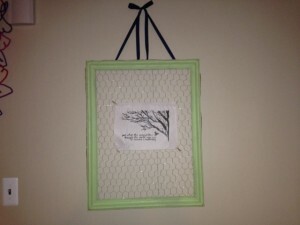 Step 3: Staple chicken wire to the back of the frame. Step 4: Staple ribbon over where you the chicken wire and frame meet. This is optional, but it covers the sharp edges of the chicken wire and finishes the look. 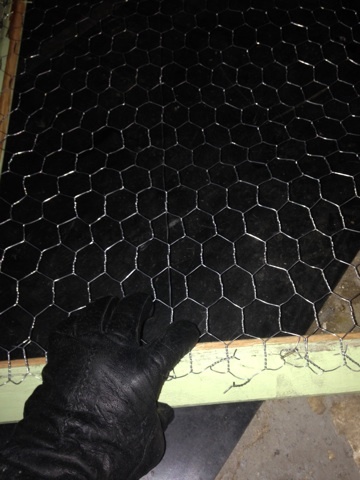 see how the chicken wire has sharp edges? I just stapled some burlap (like you’re surprised) ribbon over top of it! 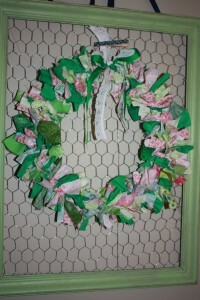 Step 5: Use a ribbon to hang the frame. 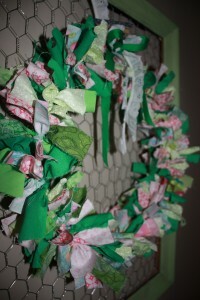 I use my chicken wire frame as a backdrop for wreaths, pictures, etc. I like the texture it brings to the wall. 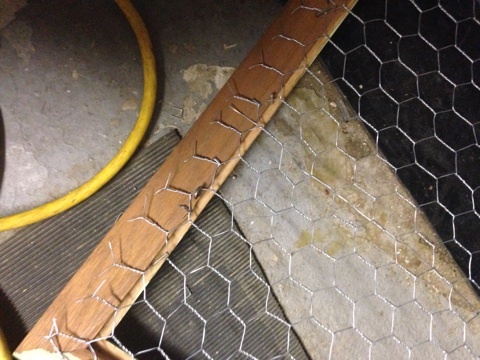 So that’s my 5 minute chicken wire frame. 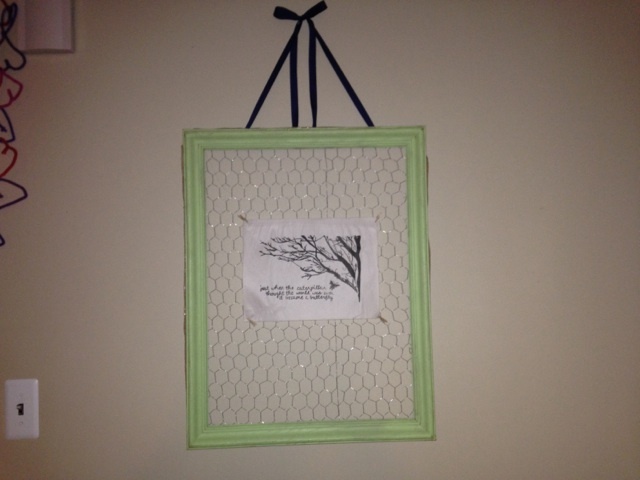 For Thanksgiving, I plan on having my boys clothespin things that they are thankful for on the frame each day for the month of November. For now, it’s housing the only kind of spider-webs I allow in the house. 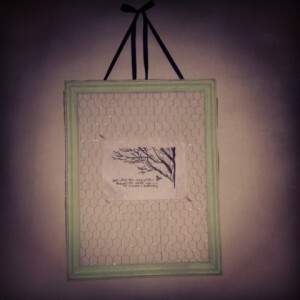 Share the post "bwok bwok Chicken wire frame"